If there's one thing that makes me happy, aside from receiving blogger mail is seeing Choi active and healthy all the time. This is why I make sure that whatever vitamins he doesn't get from the food he eats, he gets through a food supplement that has all the essential nutrients needed for his growth. 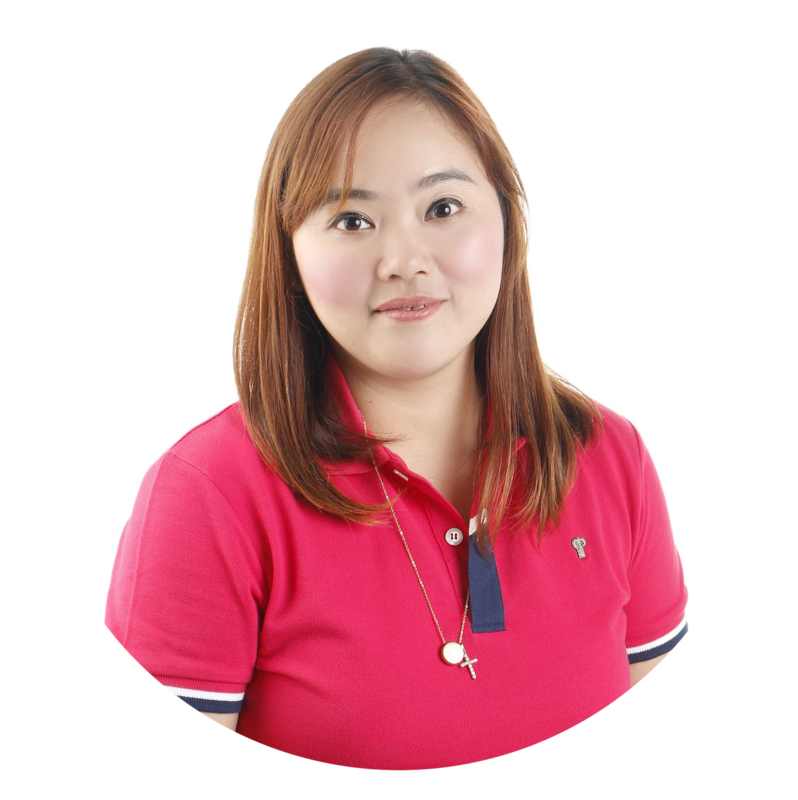 We have been given a chance to try Nutri10 Plus before, since then, I make sure that we include it in our shopping list everytime we go to the grocery store. 1. Taurine - for improved athletic performance and reaction time. This ensures that our kids stay active and alert. 2. Lysine - this is probably the best ingredients for us Moms with kids that are picky eaters. Lysine boosts appetite and promotes normal growth and development. 3. CGF (Chlorella Growth Factor) - for increased energy levels, immune system boost that will protect our children from diseases. 4. Zinc - for added boost in height/growth, Zinc helps in hormonal production. It also improves immunity and facilitates digestion. 5. Yummy Ponkan Taste - Choi keeps telling me that the fruity tastes makes Nutri10 Plus - "Saraap!" 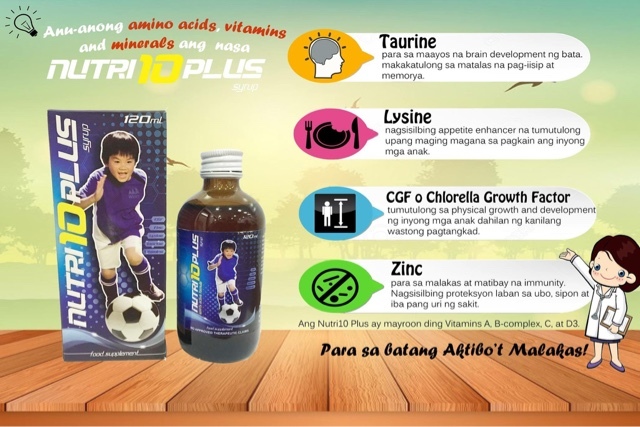 Nutri10 Plus is so affordable at P160 pesos per 120 ML bottle. It is available in all leading drugstores nationwide. 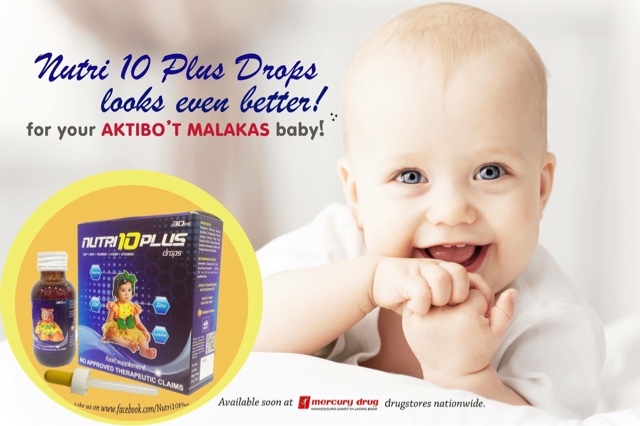 Did you know that Nutri10 Plus also comes in drops form for little babies? 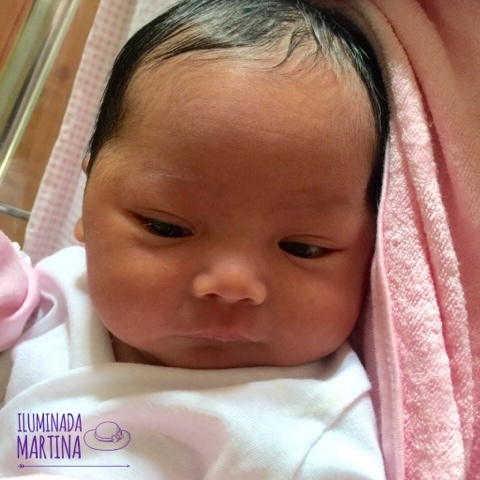 Yes , this makes me even more excited because I just gave birth to a beautiful, healthy baby girl I named - Iluminada Martina. 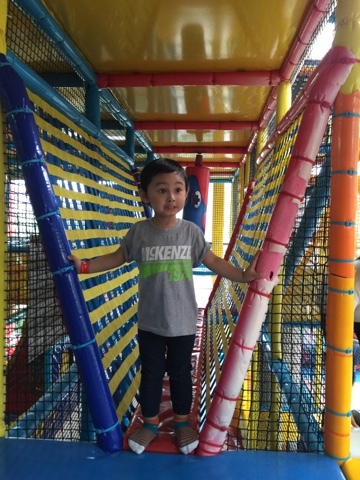 Choi is now a Kuya! 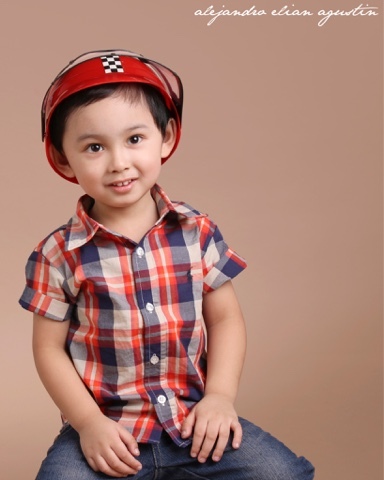 And I want Chai to be a Nutri10 Plus baby too! Mommies! 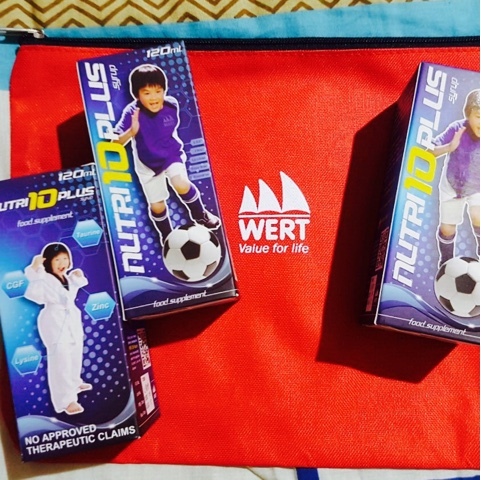 I fully recommend Nutri10 Plus for your kids too! 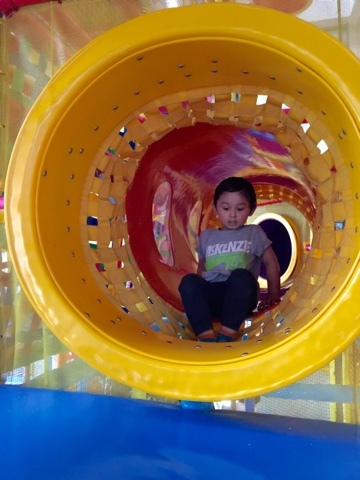 Thank you Wert Philippines for introducing it to me and my kids!